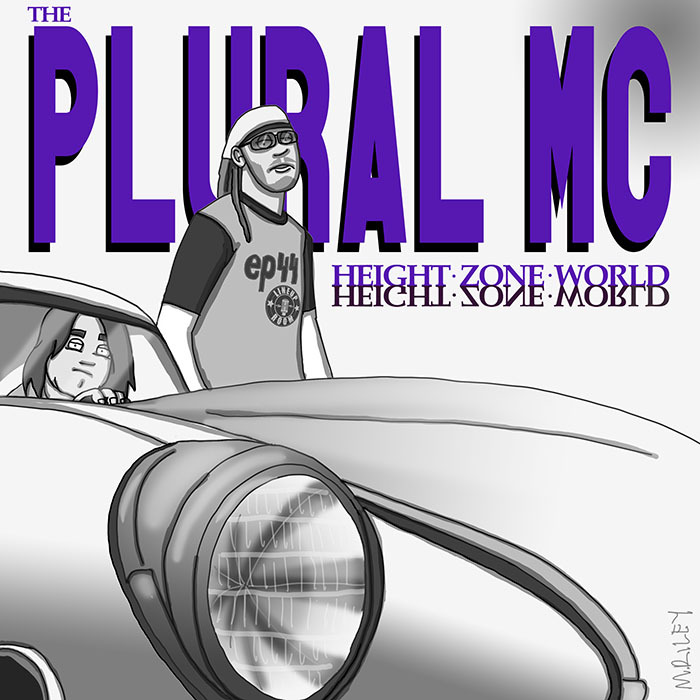 My guest this week is Neal Tyson, aka The Plural MC. He’s been releasing albums since 2003, including a full-length collaboration with Chris Freeland of Beat Babies / Oxes / Frenemies. We’ve been friends since high school, and he made his debut on my first solo album in 2000. We talk about his days as a high school hip-hop bootlegger, and how this secret hustle widened his musical palette. He tells me about putting his early albums together, and how starting to work with Chris Freeland led him to finding a unique voice. We discuss balancing the passion to make music with the hassle of promoting it. Mike Riley’s art this week is an homage to Tone-Lōc’s Lōc-ed After Dark, which itself is an homage to Donald Byrd’s A New Perspective. This episode is hosted by Splicetoday.com. Posted on June 2, 2015 June 30, 2015 by height keech	Bookmark the permalink.